Volunteering internationally is the ideal way to travel inexpensively while collaborating in cultural activities and environmental care as well as helping disadvantaged communities. How to do it? These are the keys. 16 years ago, a trip changed his life. Antonio Perez, who always believed that he would be devoted to a job in construction –like his father–, spent two weeks in Paris, France, helping to repair a historic monument. Since then, he hasn’t stopped travelling and has visited 41 countries on five continents doing volunteer work. “Volunteering is a way of life that fills you with joy, where people who choose it, decide to offer their spare time to helping others and supporting needy communities (…) The three pillars are active participation, solidarity and altruism, says Toñito in the interview, adding that is one of the 140 million volunteers who travel the world each year, according to figures from the United Nations (UN). Today, at the age of 34, this young Spaniard has been working for seven years in the Worldwide Friends – Veraldarvinir, in Iceland, an organization founded in 2001 that receives at least 500 thousand volunteers from around the world each year, which places it among the three largest organizations in the world to host labour camps. The activities offered: relating to environmental protection, sustainable living, journalism, photography and so on. WF is part of the Alliance of European Voluntary Service Organisations, which is an organization founded in 1982 that promotes global exchange of volunteers from groups based in 28 countries in America, Europe and Asia. But in Mexico there are also organizations that promote to travel the world volunteering. Some options: International Volunteers Mexico AC, Haces falta, Vive México, and even through the UN Volunteer Program –here you can see the requirements for enlisting–. In addition, the Ministry of Foreign Affairs (SRE) also has a list of organizations for volunteer work in Mexico and abroad. “Many young people are not aware of the existence of these opportunities (to volunteer) and they think that having an experience abroad is very complicated (…) Today it is relatively easy”, says the founder and director of the organization of international scholarships Vive Mexico, Alberto Garcia, in an interview. 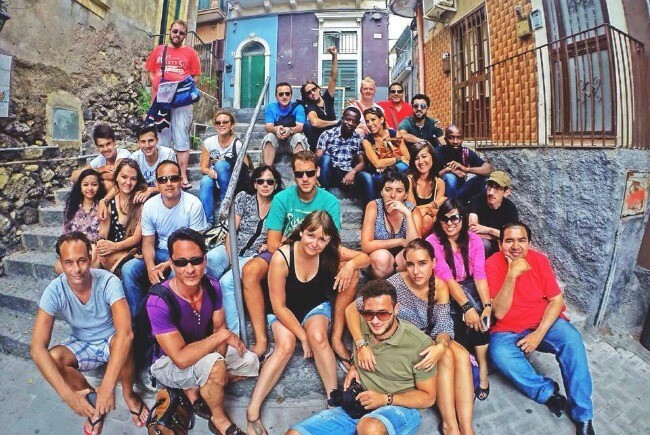 In 2014 the organisation sent at least 600 young Mexicans abroad. Founded in 1997 and headquartered in Morelia, Vive Mexico’s objective is “that Mexico‘s youth learn about this type of benefits to shift the mentality that travelling internationally is unattainable, and to disprove the stereotypes that exist about people from other countries“, he adds. 1. For Haces Falta, the first step is to decide what type of volunteer work you want to do and where. The jobs for volunteers are ranging from environmental protection to support organizations that care for the sick and prisoners, for example. This is a guide to inform you about the types of volunteering. 2. Choose the organization that best suits the type of volunteer work you want to do, and the place to visit. This is the recently updated March catalogue of international scholarship of Vive Mexico; there are short (one or two weeks), medium (six months) and long-term (one year) durations. Check them out here. – Pay an application fee. In each of the above options you can set alerts so that, when there is a cheap flight, you get a notification email. In this clinic, you can check if travel to a certain country requires special vaccinations or any preventive health measures. Besides helping, volunteering is the simplest way to travel. For example, enlist volunteer is the cheapest way to visit Iceland –a Nordic country that is among the 15 nations with better indices of human development in the world and is famous for his landscapes of volcanoes, ice and Auroras Borealis–, according to Antonio García. In fact, he recognizes that half of the volunteers who travel to that country as volunteers, do it because it is also a cheap way to travel. “In addition, volunteering while travelling ensures that you meet people on arrival, have organized activities and a concrete project where you can get involved“, he adds. In Vive Mexico, for example, each scholarship includes lodging, meals, local transportation, medical service and in some cases recreational activities. However, it is necessary to review what offers and requests each organization. Public Service Day is TODAY!